It feels odd. Maudlin, even. To write a personal in memoriam about a celebrity I admired. Admired. Past tense. That gets me. I never met Mr. Bourdain. He seemed to like other writers, and I’m about six weeks away from being published, and I’ll admit to holding out hope—a childish, fanboy hope—that I might someday speak to him as a peer. Embarrassing. My tears are embarrassing. And while I’m embarrassing myself, I’ll go a step further. I feel as if I lost a future friend. 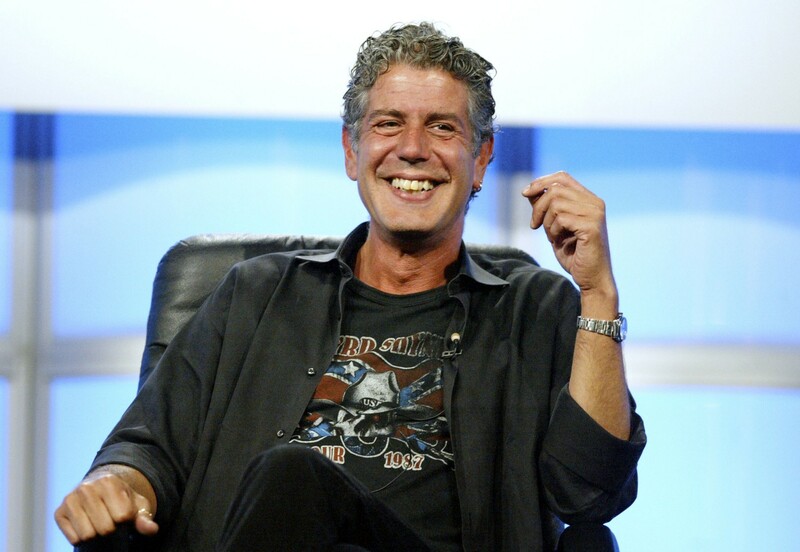 The first episode of No Reservations aired in 2005. It’s around the time I started work on my novel. My life, at the time, was anything but romantic. “Humble” would be putting it better, and putting it mildly. Then, this show. Thursday nights? A window into the wider world. Cosmopolitan. Sensitive. A writer’s show. I never missed an episode. No Reservations, giving on to Parts Unknown, represents the best non-fiction television ever made. The best. He did that. Episode 1 from this season of Parts Unknown. “West Virginia.” It’s among the best dissertations on the current political situation that anyone has done. It should receive every journalism prize that they offer. I’ll admit to finding the celebrity chef ethos a little tiring, and the punk rock ethos a bit past its prime. I don’t know where the persona ended, where the real began because again, I didn’t know him. It was a joy to read him, to watch him, but he also had the capacity to annoy. “Oh… c’mon, Tony!” And that’s it. He was interesting. He was so much himself. When we lose people like that, we lose more than a “voice” or a “creative output.” We lose a world that has that person in it. There is no more Anthony Bourdain, galavanting across the globe, going on adventures we wish we could. The world is worse today than it was yesterday. Parts Unknown would open each season with a Prime Cuts clip episode—highlights, behind-the-scenes interviews. I remember one, in which a crew member described Tony’s work ethic. Quoting from memory: “We’d be out until 4 a.m., shooting a drinking scene, and we’d have to meet in the hotel lobby at 7:30 that same morning, and Tony would already be there, waiting for the rest of us, ready to work.” This little snippet told me everything I needed to know. He’s a kid from Jersey. I knew those kids. I’m a kid from Upstate New York. We’re the same kids. He was a guy who brought us the world, and did so with stunning beauty—but he couldn’t have been more American. I miss a guy I never met, and I’ll go on missing him for the rest of my life. I have written 2 blogposts after people have passed away. I was sure I’d done one for Roger Moore, but that must have just been on facebook. Robin Williams and Bob Hoskins. Both in 2014. The connection that makes us love people we’ve never met is why their deaths seem so shocking. The things that connected us to them still exist. His episodes are no more in the present now than they were when they first aired, but knowing that this is it and we get not more always seems sad. It’s selfish, but why wouldn’t we be selfish when these are such lopsided relationships? But their passing also means they can’t hear our applause anymore. We can’t run into them and tell them, as an individual, what their work meant to us.